Irmak’s principle is to make a difference and process the information. 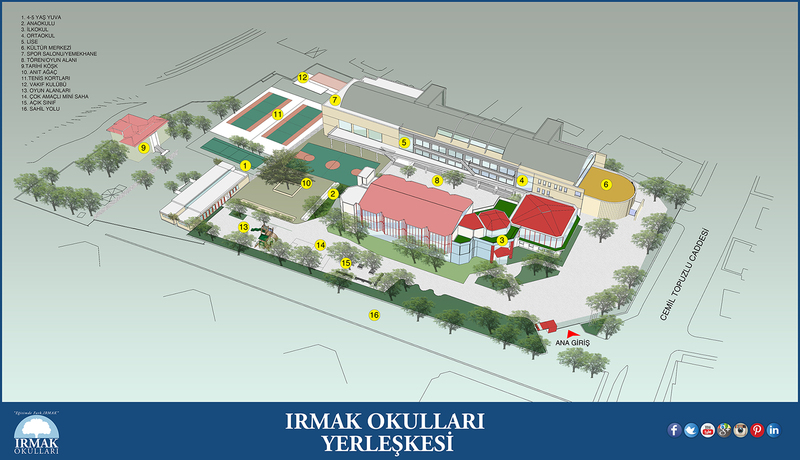 In order to fulfill this purpose, Irmak Schools are fully aware of the importance of science. Our main objective is to help our students to be successful in both national and international exams and scientific activities, provide guidance in scientific projects, keep track of and share the ever changing latest technology, ensure students love and enjoy the science education as a whole. Irmak School, is too aware that science and technology education plays a key role in the future of the societies, in the age of information technology where the effects of science and technology is seen in every area of our lives quite remarkably, and scientific knowledge increase incrementally, and developments in technological areas take place almost in a flash, thus continues to work in this direction. Ensuring that they acquire new information through research, reading and discussions. Ensuring their use of scientific processes and principles when making personal decisions. Ensure students absorb that science in itself “is life”. Prepare students to have the necessary skills to be productive and information literate. Educate students to be able to analyze, synthesize and evaluate. Ensure students achieve the academic knowledge to be able to use and invent new technology. Ensure students achieve the ability to understand the importance and existence of the balance of nature and the environment. The scientific and technological advancements we experience in today’s world has changed our lives dramatically. The effects of these developments on our lives can be seen clearly. As a result of globalization, these fast scientific and technological changes will continue to effect our lives. When considering these factors, it is inevitable that science lessons plays a key role. With this goal in mind, Irmak Schools Science and Technology lessons are, far from the conventional memorizing methods, and based on inquiry and research and theoretical approach is supported by experimental work. Science education is the basis for experimental and quantitative measures. Understanding nature, acknowledging living creatures, studying the natural causes and outcomes, able to express these in a mathematical method will be beneficial to both nature and the human race. It is common knowledge that, in the last century but more so after the Second World War, science is considered to be the main source of technological development. However, science itself has advanced based on the surrounding nature and lab research. These results are then presented and used technologically by society. Objectives of the Science education is not to encourage students to memorize the methods but to ensure that the learning process becomes more interesting, it is very important to include theoretical, visual and experimental techniques when teaching physics, chemistry and biology. Creating the infrastructure necessary for the students to develop interest, experience, and information on areas such as careers choices related to science and technology through education. Ensuring the student’s use of science and technology in solving problems and acquiring new information in times of extraordinary situations. Ensure if the student’s use of appropriate scientific processes and principles when making personal decisions. Ability to evaluate the results of an experiment and to write a report on these. Learning the nature of science and the relationship between daily life and physics, chemistry and biology. Teach individuals to have a positive attitude towards science and appreciate it. Enhance the ability to research and experiment scientific facts. Enhance the ability to understand positive scientific facts and able to produce new ideas and relay them to others. Enhance the ability to use the given knowledge successfully in both national (SBS,YGS, LYS) and international (e.g. SAT) exams. This page was created on 8.2.2017 11:51:14 and has been visited 1119 times.